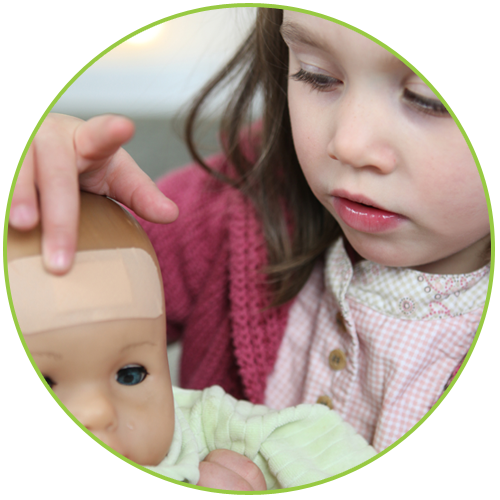 "Our focus in this room is the Care & Interactions we can provide through Play & Routines..."
We aim to foster a sense of independence & the early development of interpersonal skills, still allowing children the nurturing they need and deserve! We operate this environment on a ratio of 1:5 & it is a small group environment, helping to prepare & guide these children through the development of interpersonal & independent skills thus preparing them for their next transition to the Explorers Room. Developing confidence in toilet training is a crucial part of toddlerhood & children will develop this skill when they are confident & developmentally ready, Our room is equipped to support these items with nappy change facilities & also our own bathroom which is easily accessed & our staff will liaise with families regarding an appropriate time to begin toilet training.